The first cohort of SEAS sophomores will receive funding to pursue engineering research over the next two years. The first cohort of four Clare Boothe Luce Research Scholars will start their research this summer and continue through spring 2021. Four women in George Washington University’s School of Engineering and Applied Science were awarded funding as part of the Clare Boothe Luce Program to pursue innovative engineering research over the next two years. GW announced last fall that the university had been awarded a $300,000 Clare Boothe Luce Program Undergraduate Research Scholars grant, which provides funding for promising female students in science, engineering and mathematics. The award enables eight total students to pursue research with guidance from faculty mentors, hone their professional skills and establish themselves as university leaders. The first cohort of four Clare Boothe Luce Research Scholars will start their research this summer and continue through spring 2021. A second cohort will begin their research next summer. The first cohort will investigate a wide range of subjects from how to use ultrasound to deliver drugs to the eye to treating certain diseases more effectively to understanding heart arrhythmias. 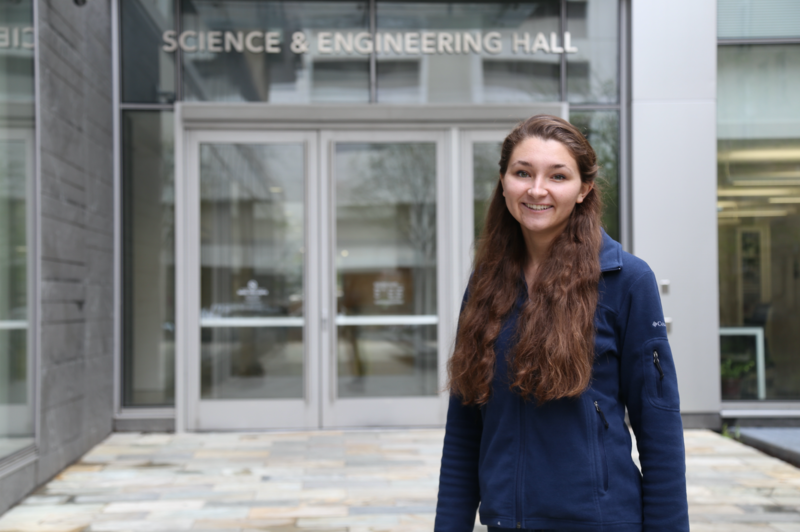 Anastasia Carr, a sophomore in biomedical engineering, plans to research a specific type of cardiac arrhythmia under the guidance of her mentor Igor Efimov, chair of GW’s Department of Biomedical Engineering. His lab studies biophysical mechanisms of cardiac conduction and arrhythmia, including heart rhythm conditions like Long QT Syndrome, which causes fast and chaotic heartbeats that can lead to sudden death. Ms. Carr will study how silencing a particular gene affects gene expression and whether that can induce Long QT Syndrome in human tissue. Ms. Carr started working in Dr. Efimov’s lab in November. Opportunities to get involved in undergraduate research at GW played a significant role in her decision to come to the university, she said. 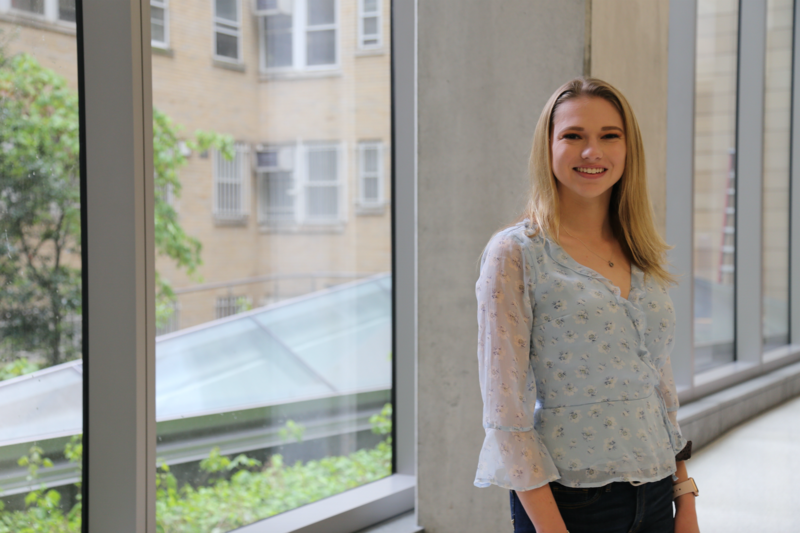 “Coming to GW and seeing it was so easy for undergraduates to get into research, you just have to reach out to a professor, and I thought that was really cool. I wanted to get my hands in there and see what I could do,” she said. Ms. Carr liked that Dr. Efimov’s lab has access the human tissue and focuses on the biological side of engineering. Being named a Clare Boothe Luce Research scholar will allow Ms. Carr to explore the field more independently and take a lot of ownership over her work. She is excited to dive into her project this summer in Foggy Bottom. Meghana Tallam, a sophomore majoring in biomedical engineering, will research heart failure using a technique called CUBIC clearing. Clearing organs is a procedure that is used to remove lipids from tissue in order to make imaging easier and more precise. Ms. Tallam will be looking for the expression of DREADDS, designer drugs used to activate neurons in the brain that affect areas of the heart, with guidance from her faculty mentor Matthew Kay, a SEAS professor and associate chair for research and graduate affairs. Ms. Tallam is excited to use what she has been learning in the classroom in practical and impactful ways, she said. “Cardiac disease continues to be the No. 1 cause of death in America, and to be a part of a lab that is striving to make a difference in those numbers was something that motivated me to join and continues to motivate me today,” she said. 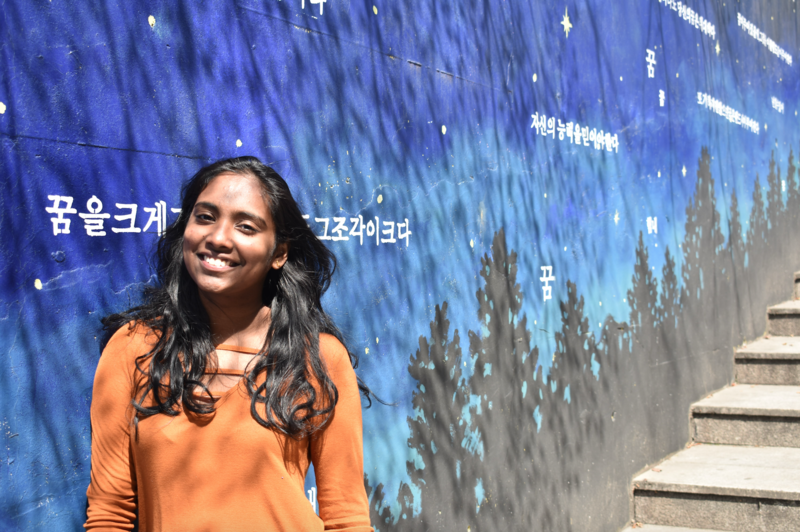 When choosing a career path, Ms. Tallam said she was drawn to biomedical engineering’s interdisciplinary nature. After graduation she hopes to focus on public health, work toward a master’s degree in biomedical engineering and continue research. When Rachel Gray was in sixth grade, one of her teachers told her class that if they wanted to change the world, they should figure out how to make a car engine more efficient. 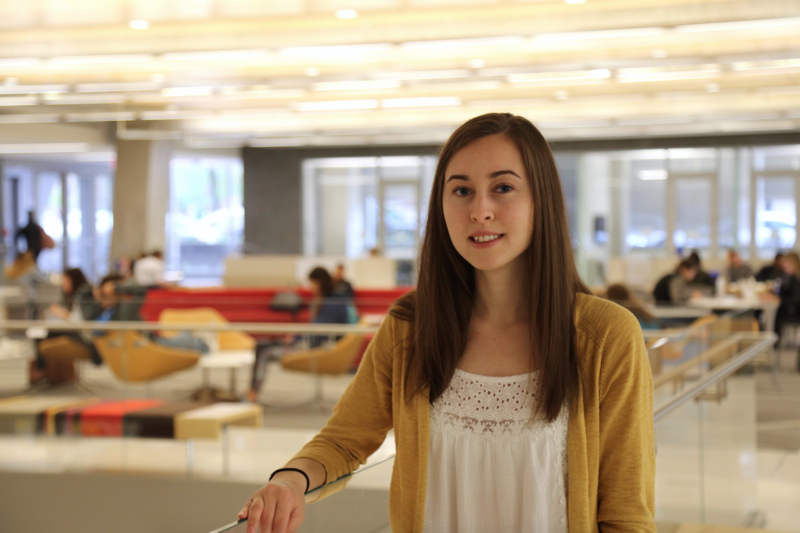 Today as a sophomore in mechanical engineering, Ms. Gray is working to do just that. Ms. Gray is working on a project that aims to build thermal electric generators that capture waste heat from combustion systems, like a car engine or factory equipment. She is researching how powdered semiconductive materials, like magnesium silicide, can be used to build these systems. Ms. Gray is working on this project under Saniya LeBlanc, a SEAS assistant professor. She has been doing research in Dr. LeBlanc’s lab for a year now, and said it keeps her motivated and engaged in her coursework. “If you can find something you are passionate about, it’s really empowering and exhilarating,” she said. Bianca Karpinecz, a sophomore majoring in biomedical engineering with a minor in electrical engineering, will research ultrasound-enhanced drug delivery for parasitic and fungal eye diseases with the goal of contributing to the development of an inexpensive, effective, and minimally invasive treatment. Eye diseases can often lead to vision loss because most of the necessary treatments do not effectively permeate through the eye. Many are administered through eye drops or risky injections. Ms. Karpinecz will research how different combinations of frequency and intensity can increase corneal permeability. She will work on this project under her faculty mentor Vesna Zderic, an associate SEAS professor. Ms. Karpinecz took a class with Dr. Zderic this semester and heard about an opening in her lab. From there Ms. Karpinecz decided she wanted to get involved in the ongoing research. “I’ve always thought of ultrasound as just an imaging technique, so I found all the different therapeutic applications of ultrasound being used in her lab super interesting,” she said. Ms. Karpinecz said she is looking forward to advancing her research skills and experiencing specific features of the scholars program like mentoring local high school girls interested in STEM and presenting her research at conferences, the annual SEAS R&D Showcase and the university-wide GW Research Days. “I think this will open up wonderful opportunities for me and all the other scholars, and I’m excited to see what the next year will bring,” she said.